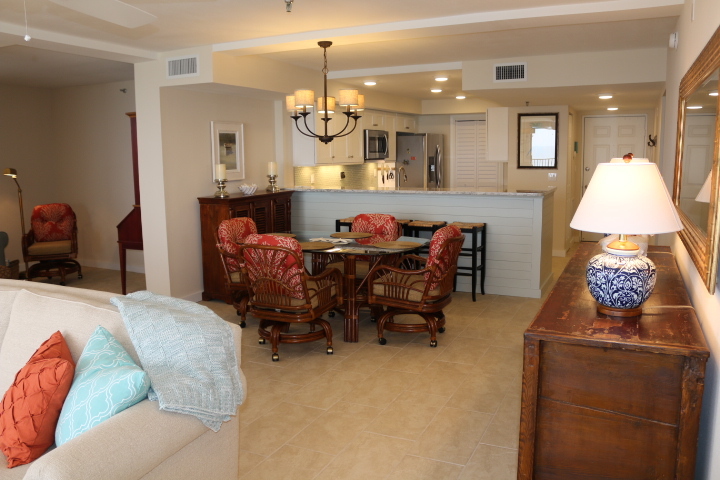 A previous client of ours recently requested that we design, completely renovate, and fully furnish and decorate his newly acquired beach condo with simple elegance and cottage style in mind using a limited budget. He visited the condo just before the demolition and right after completion. He continuously praised the view of the Gulf of Mexico, and he wanted to make sure that the renovations showcased the view of the Gulf from as many rooms as possible.